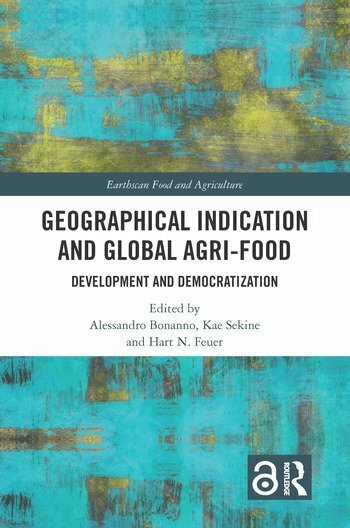 This book addresses the relevance of geographical indication (GI) as a tool for local and socio-economic development and democratization of agri-food, with case studies from Asia, Europe and the Americas. A geographical indication is a sign used on products that have a specific geographical origin and possess qualities or a reputation that are due to that origin. It provides not only a way for businesses to leverage the value of their geographically unique products, but also to inform and attract consumers. A highly contested topic, GI is praised as a tool for the revitalization of agricultural communities, while also criticized for being an instrument exploited by global corporate forces to promote their interests. There are concerns that the promotion of GI may hamper the establishment of democratic forms of development. The contributing authors address this topic by offering theoretically informed investigations of GI from around the world. The book includes case studies ranging from green tea in Japan, olive oil in Turkey and dried fish in Norway, to French wine and Mexican Mezcal. It also places GI in the broader context of the evolution and trends of agri-food under neoliberal globalization. The book will be of interest to researchers, policy makers and students in agri-food studies, sociology of food and agriculture, geography, agricultural and rural economics, environmental and intellectual property law, and social development. 3. The Impact of Geographical Indications on the Power Relations between Producers and Agri-Food Corporations: A Case of Powdered Green Tea "Matcha"
Alessandro Bonanno is Texas State University System Regents’ Professor and Distinguished Professor of Sociology at Sam Houston State University, USA. Kae Sekine is Associate Professor of Economics at Aichi Gakuin University, Japan. Hart N. Feuer is Junior Associate Professor of Rural Sociology at Kyoto University, Japan.